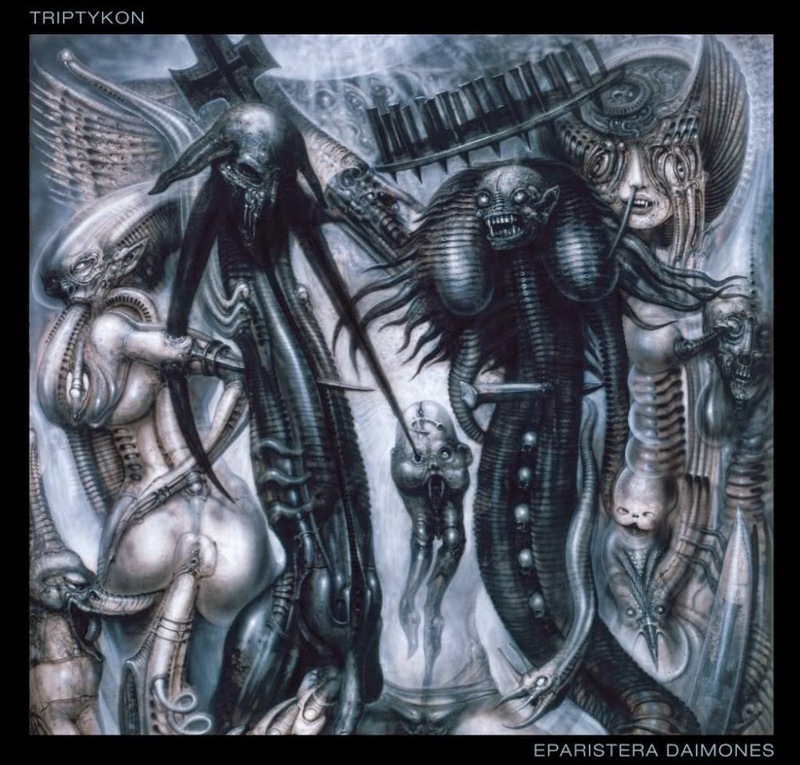 For better or worse there is an undeniable quality to Ttripykon’s music that revolves around the variety of instrumentation, the several changes in vocals. I find the songs on this album a lot more aggressive than say Melana Chasmata, that is not to say that the similarities between albums is undeniable, I just think it’s a small observation. They use their mode of doom and metal to chug along, devastation in its path. Ok so I am not entirely thrilled about this release, it does not have the hold over me as Melana Chasmata, but it sure as hell is one solid piece of music. There are moments that I would call an interlude that occasionally show up. And then there are some songs that deceive you into thinking you are going to be listening to a softer side of this band, which if you hadn’t yet guessed there is no soft side. They are angry and deliver the goods with every release. Finding out about this band recently, has made me a believer. I fail at a conclusion, just get the damn cd!